Most likely, your answer is no – and perhaps you find the very notion offensive. But according to two Cardiff University psychologists, Kuppens and Spears, many educated people harbor prejudiced attitudes even though they deny it. Their research was published recently in Social Science Research. Kuppens and Spears analysed data from a large survey of the general US population, the American National Election Studies (ANES) 2008-2009. They focused on over 2,600 individuals of white ethnicity, and investigated the relationship between their level of education and their attitudes towards African-Americans. However, while the educated participants reported less explicit prejudice, they did not show a corresponding tendency towards less implicit prejudice, as measured using the Implicit Association Test (IAT). This method originated in cognitive psychology experiments and it has become widely used as a tool for probing people’s ‘unconscious’ attitudes. As well as education, Kuppens and Spears explored IAT performance and explicit racial attitude measures across other demographics as well. They found that older white Americans reported less explicit prejudice than younger ones, yet they displayed more implicit bias. Women also endorsed less racist views, but were no different to men on the implicit measures. Psychologists have long known that our ability to accurately perceive and self-report on our own behaviour is imperfect. If these results are anything to go by, being highly educated might not mean that we’re fully informed about our own implicit prejudices. 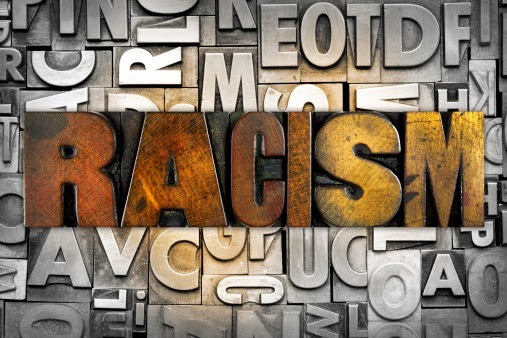 Kuppens and Spears suggest that educated people were more likely to be ‘aversive racists’ – people who reject racism and consider themselves free of prejudice, yet still harbor implicit bias. These concerns stem from the nature of the IAT procedure. In this test, the volunteers had to quickly press either a left button or a right button to categorise a target. In some cases the target was a word, and the object was to categorise its meaning as either good (e.g. ‘love’, ‘friend’) or bad (‘hate’, ‘enemy’). In other cases, the target was a picture of either a black or a white person’s face, and the task was to categorise their race. The principle behind the IAT is that if someone mentally associates two concepts – say ‘black’ and ‘bad’ – they will find the task easier when they’re asked to use the same button to indicate these two concepts. Someone for whom these concepts are linked will tend to press the button faster, when the buttons match, as opposed to when they’re asked to use the opposite arrangement (e.g. same key for ‘black’ and ‘good’). See also: a recently published study reported on an international contest to develop the best way to eliminate implicit racial bias on the IAT (paper, covered by the Neurocritic blog). Post written for the BPS Research Digest by Neuroskeptic, a British neuroscientist who blogs for Discover Magazine. I have to agree that test as described above does not give me much confidence that it is measuring racism. It's too "laboratory". What about testing real-world behaviour, such as people from different races asking for help from "strangers" who are actually test subjects.